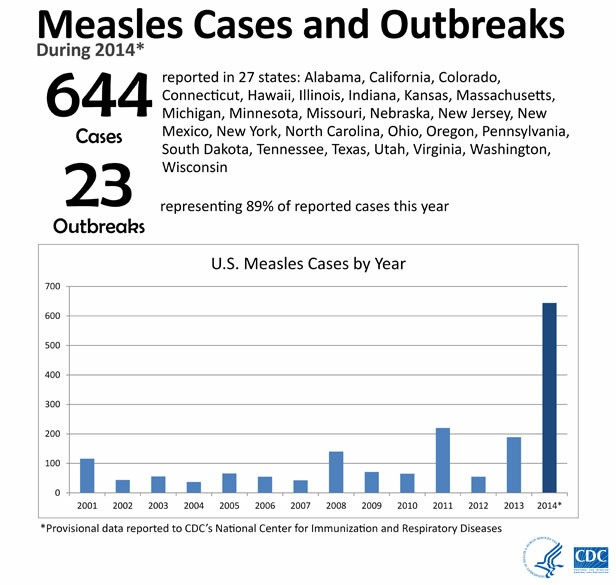 From January 1 to January 23, 2015, 68 people from 11 states were reported to have measles. Most of these cases are part of a large, ongoing outbreak linked to an amusement park in California. On January 23, 2015, CDC issued a Health Advisory to notify public health departments and healthcare facilities about this multi-state outbreak and to provide guidance for healthcare providers nationwide.